This tiny zoom lens is a gem. 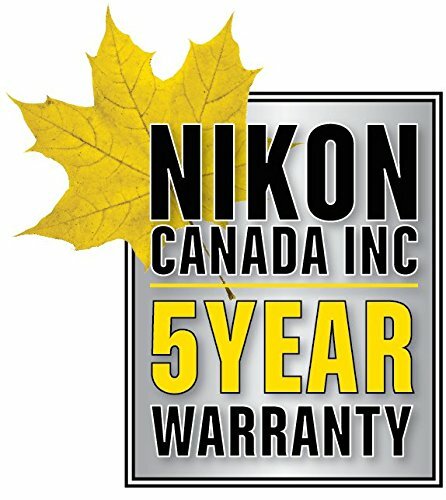 It enhances the functionality of the Nikon 1 System for camera enthusiasts using the V1 as a walk around and travel camera significantly.It is an impressive lens. 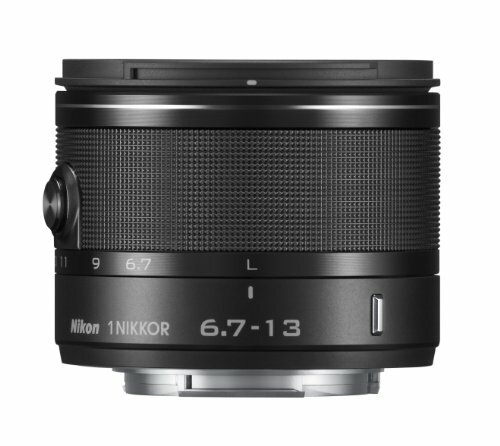 It is solid, and well-built, compared to Nikon’s kit lenses. It is more like a miniature pro lens, than a consumer lens in weight, and feel, with a knurled black metal grip, finish around the zoom part of the barrel. Turning the zoom is as smooth as silk. The lens just feels good to hold in your hand.The quality of the lens is impressive. It is super sharp, has an excellent corner to corner sharpness, with excellent color, and superior contrast. The images I took with it show the variation in lighting to be very good for a lens in this zoom range.It handles flare beautifully, even when intentionally pointed into the sunlight without washing out the whole picture, and has a pleasant star like look on the sun and lamp lights is you control the lighting. I did look for purple fringing which is again excellent, but did find it looking at 400 percent magnification, so considering fringing to be very well controlled for a lens in the zoom range from personal experience.The only challenge with this lens for me is inherent in this zoom range where everything is mostly in focus. It is difficult to reduce the depth of field dramatically in this focal length range in the cx format. 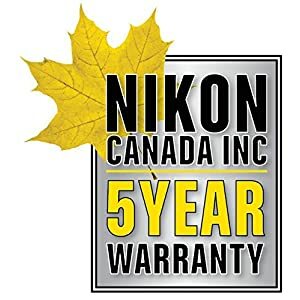 But realistically not many of us that like the Nikon 1 System are going to step up to plate for another $1,000.00 dollars to buy a zoom in this focal range that has a significantly faster lens speed. So I am happy.The VR, or optical stabilization is remarkable. I was initially concerned about this lens perhaps not being fast enough. The VR makes this wide-angle very useful for low light shooting of scenery, which was a relief for me since that is one of the things that makes a lens like this one fun to own.I highly recommend this lens. Wide angle lenses are inherently expensive to build and buy, but believe me, after you have used one you will be hard pressed to leave it behind, especially for traveling, buildings, and scenery. It works beautifully for group people shots as well if used properly. 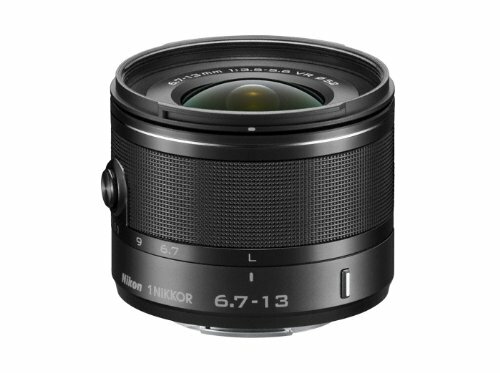 This is a super quality lens, and a smart move by Nikon to enhance the functionality and value of the Nikon 1 System. People are going to fall in love with this lens. I’ve had the V1 since Jan. 2012 and I’ve loved it from the beginning. Things weren’t so good as they are now with the addition of the 18.5mm f/1.8 and this UWA lens. Well, between the 5 lenses that I own (6.7-13mm, 10mm, 10-30mm, 18.5mm, 30-110mm) this is my favorite. It’s my first ultra wide so I was hesitant to drop the money on it because I heard they were difficult to use. I’m glad that I did because this is a very sharp lens with great contrast and it allowed me to experience (high quality) wide angle shooting without having to drop over $1K on a lens. The VR on this lens is extremely good. Combined with my decently steady hands I’ve been able to take shots at 1/3s without any blur. I’m reliably able to shoot 1/10s for night time architecture. I was surprised on a trip to Mexico last week how often I needed the added width of this lens, even though its range partially overlaps that of the standard 10-30mm Nikon 1 J4 zoom lens. For instance, sitting in the front row of a Kindergarten graduation, I was still able to fit ALL of the kindergarteners into my photos of them. Similarly, when I needed to take a photo of a building that is behind an ugly chain link fence, I was able to stand just inside the fence and still see the entire building with this lens.Surprisingly, it was also handy to be able to zoom this lens in for subjects that did not need quite so much of a wide angle.The resulting photos from this lens also turned out extremely well. Definitely recommended! Let me preface this review by saying that I recently sold a lot of camera gear, including a Canon 7D with 6 lenses, one of which was the 10-22mm. I replaced all of that with just a Nikon J4 with the kit lens (and now this lens), and kept my Fuji X100 as a second camera. So I have decent experience with many types of camera lenses. I switched to the 1 series camera to cut down on bulk. Anywho…The NIKKOR 6.7-13mm lens is a great additional to the 1 series cameras and is pretty much the lens I use exclusively. 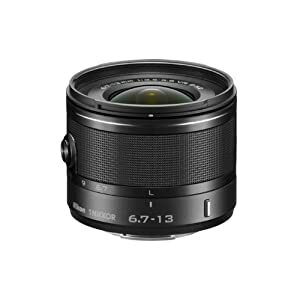 It’s very nicely made, has great image stabilization, and produces sharp images.This Nikon lens is very nicely made. Most of it is metal, and it feels well assembled and sturdy in the hand. Build and materials quality is definitely a step-up from the 10-30mm kit lens, and is on par with my Canon L-Series lenses. The zoom ring extends and turns smoothly and has a large and easy to grasp grip. Included with the lens is a corresponding lens hood… very nice!The lens isn’t as tiny as the power zoom kit lens, but it’s not too large, and balances well on my Nikon 1 J4. It adds modest weight to the camera, but nothing that is burdensome.I use this Lens exclusively on a Nikon J4. On the J4 the lens focuses quickly and quietly, both in good light and low light. I’ve had no issues with missed focus, or slow focus. I usually keep my aperture in the f/5 – f/8 range when outdoors and open it up to max aperture when shooting in low light. The lens does sharpen up a bit when closed down, but even wide open, it performs very well. The center of the frame is very sharp, and the extreme corners show only a little softening, even wide open. Distortion, purple fringing, and vignetting are modest and easily fixable post-process (I shoot RAW and process in Lightroom).Obviously the biggest limitation of this lens is the modest zoom range, and its lack of telephoto. At the long end the it is about a 35mm equivalent. I’m not knocking the lens at all for this, but you need to know what you’re getting before you buy. At the wide end you get a very expansive 18mm equivalent. This range is excellent for landscapes, interiors, architecture, and street shooting. I just love shooting with it.All in all… a wonderful ultra-wide-angle option.